Shoreline fishing in Oahu requires some cunning. These fish are particularly dexterous, surprisingly clever and often quite big. This adventure teaches you how to successfully cast your line. Shoreline fishing in Oahu requires some cunning. These fish are particularly dexterous, surprisingly clever and often quite big. This adventure teaches you how to successfully cast your line and shows you all the secrets to outwitting these colorful creatures! 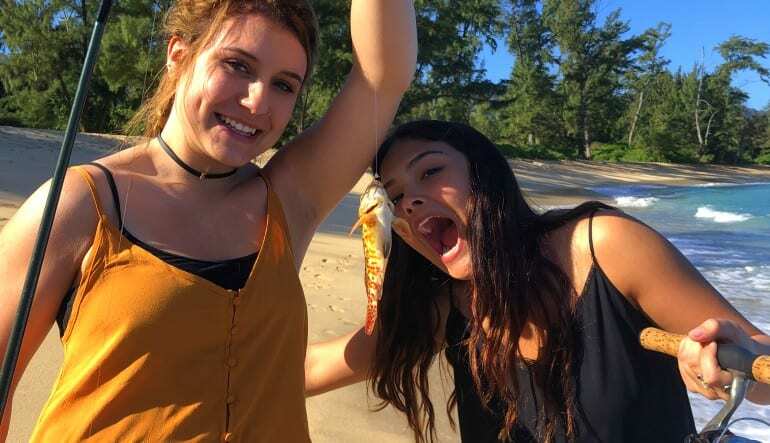 Perfect for mom, dad and the little ones, this catch-and-release Oahu fishing trip is an opportunity to meditate on the north shore’s mind-blowing scenery. Surrounding you, pristine beaches, lush vegetation and beautiful blue waters that stretch out to infinity. Removed from the bustling tourist areas, these fishing spots offer the quietude you envisioned booking your Hawaiian getaway. 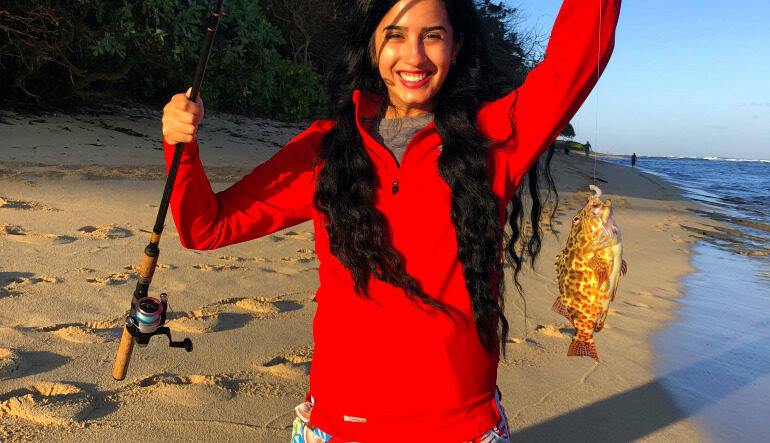 Take a 2-hour Oahu shoreline fishing trip. Learn all the right techniques to catch these quick-moving creatures. Be surrounded by the north shore’s white sandy beaches and rugged cliffsides. See if you’ve got what it takes to snag a barracuda! Add a little friendly competition to your itinerary and see who can catch the most. 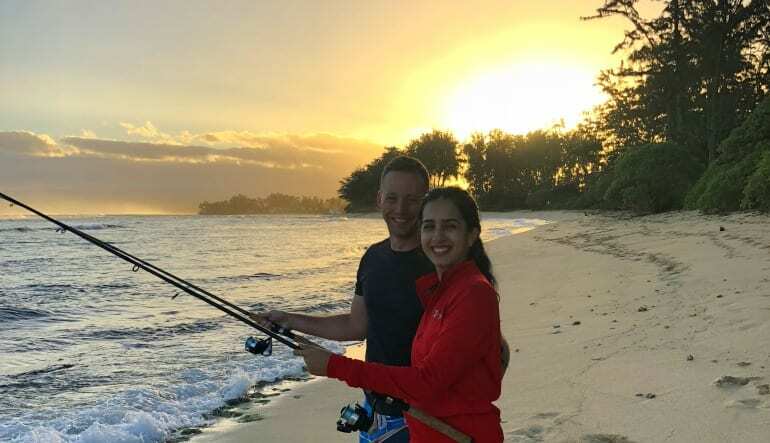 Bonding with the family, immersing yourself in paradise, picking up a new skill—what more could you ask for? 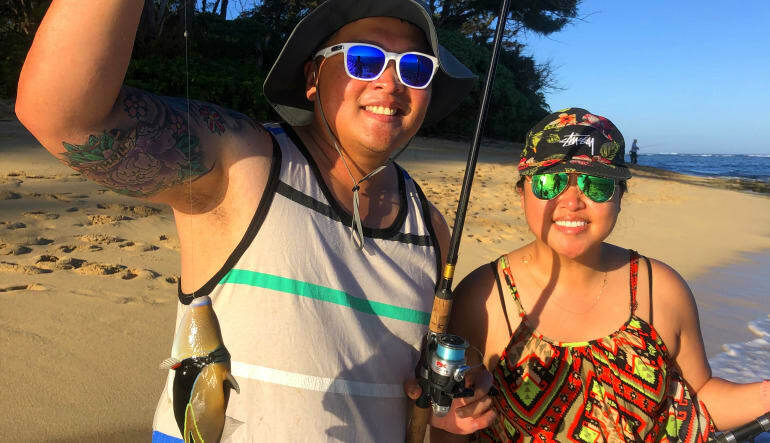 Book your Oahu fishing trip today! Children must be accompanied by an adult. Also please know for any Child under 10 years old, parents will be in charge of the fishing pole and accompany the child to holding the pole and reeling in any fish. They will not be able to handle the fishing pole on their own.